Red-y smart pressure controllers from Voegtlin of Switzerland combine reliable thermal mass flow technology with electronic pressure control. They automatically control a predefined process pressure and at the same time measure and/or limit the flow rate. They are available in a standard economic version (flow accuracy ±1% of full scale, turndown ratio 1 : 50) or a hi-performance version (flow accuracy ±0.3% of full scale and ±0.5% of reading, turndown ratio 1 : 100) and are specified for forward or backward pressure control. All devices are calibrated with real gas, which guarantees high accuracy and reproducibility. Overpressure control of a sterile chamber. The flow rate is used as a leakage indicator. The new electronic Red-y Smart pressure controllers combine Voegtlin’s reliable thermal mass flow technology with electronic pressure control. 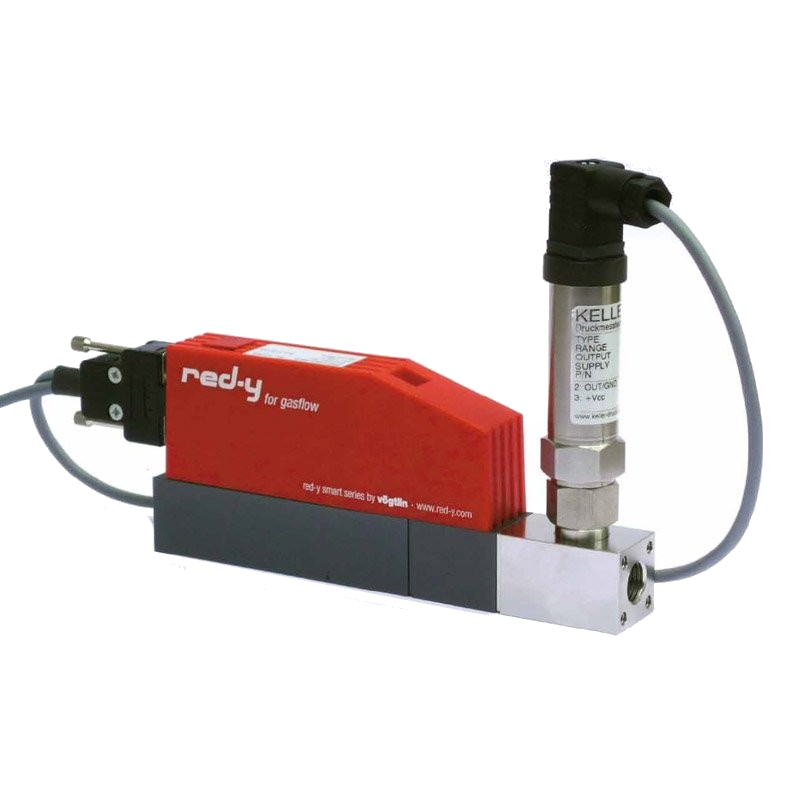 Red-y smart pressure controllers automatically control a predefined process pressure and at the same time measure and/or limit the flow rate.